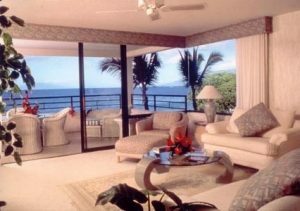 Enjoy Incredible Oceanfront Views and Breathtaking “Rainbow” Sunsets from the Private lanai of your own 1-Bedroom or 2-Bedroom Luxurious Maui Beachfront Condo . . . 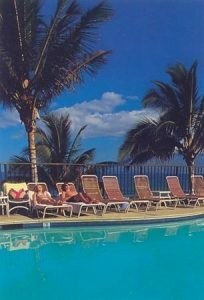 Located in the Stunning Resort Vacation Destination of Wailea, on the Sunny South Shore. 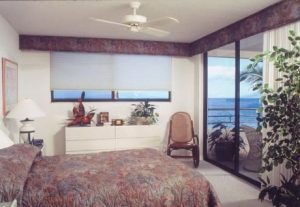 Relax in Style from your Designer-Decorated Maui Condo Rental while Listening to the Sound of the Gentle Surf . . . Just Steps to the Sand from your own Private Beach! Welcome to the Gorgeous Polo Resort. 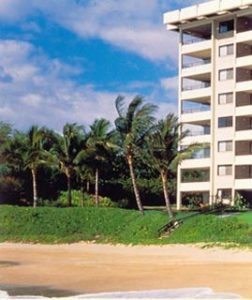 Featuring Casual Oceanfront Luxury for the Discerning Traveler, you’ll truly appreciate the Stunning Appointments of your Maui Vacation Condo . . . An Interior Designer’s Dream! Your Tropical Island Paradise Showcases Rich Koa Wood and Marble Accents, Double-Sized Tiled-Lanais with Breathtaking Oceanfront Views, Exquisite Interior Furnishings, Fully-Equipped Kitchens, In-Suite Washer/Dryers & Central A/C. Framed by Swaying Coco Palms and Lush Tropical Grounds & Gardens in Truly a Class of its own, you’ll also be pampered by our Concierge Service in a World-Class Setting. For your Added Vacation Pleasure, take a Leisurely Stroll on our Gorgeous White-Sand Beach, one of the most exquisite in all the Islands. Enjoy Fantastic Snorkeling & Swimming . . . Or Just Relax Beachside soaking up the Tropical Sunshine. Additional Amenities of your Maui Vacation Getaway feature a Gorgeous Oceanfront Pool and Whirlpool Spa, and adjacent Championship Golf & Tennis with preferred guest rates. At Days end, prepare your ‘fresh catch’ on our Gas BBQ’s while enjoying another Spectacular Sunset. World-Class Shops & Restaurants are Just Moments away. Welcome to the Ideal Maui Beachfront Vacation Condo Getaway Located at World-Famous Wailea . . . Featuring Incredible Oceanfront Views Just Steps to the Sand . . . at the Incomparable Polo Resort. Your Luxurious Beachfront Maui Tropical Vacation Getaway – Featuring a Stunning Setting at Famous Wailea Resort – Features your Choice of Exquisitely Appointed 1-Bedroom Maui Condo Rentals that Sleep 4 Guests; Or Distinguished 2-Bedroom Maul Condos – Many Featuring Oceanfront Master Bedroom Suites – that Accommodate up to 6 People. All Linens & Towels Provided. Double-Sized Tiled lanais . . .